The stickiest stuff you can do on your show is tell a story about yourself. Especially one with tension and drama. We connect by telling stories to each other. Stories define us and allow those listening to see themselves in you. 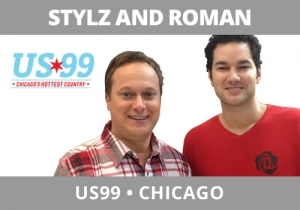 Stylz and Roman, US 99, Chicago, tell great, relatable stories about themselves. Doug Stylz is an adult male (over 40, married, with a kid). Getting a tattoo should be no problem, right? Not to his conservative parents, who’ve always frowned on it. Listen as Doug becomes a kid again as he breaks the news to his parents (his father walks out of the house in disgust). Then a second break the day after where Justin, Doug’s on-air partner, calls his parents to smooth things over. This is very real, very relatable, and very much fun as the listeners identify with Doug’s dilemma and drama. This is the kind of storytelling and content that listeners define talent through and hold on to for a long time. Both breaks are below.